Select the Customers button to view your customer list. 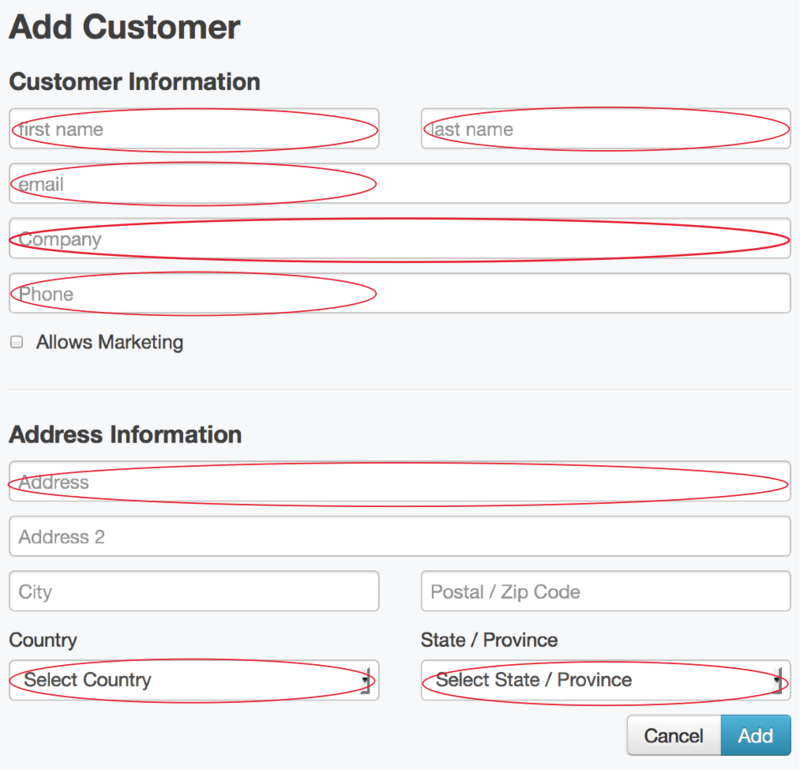 Select the +Add Customer button to add a new customer. Be sure to hit the Add button to store the customer’s contact information. You can import existing names from an excel spreadsheet by selecting the Import button. A popup with appear where you can select the file from your computer. Once you have attached your file, be sure to select the Import button. You can export you customer list by selecting the Export button. You can select from a number of options that allow you to export. Be sure to hit the Download button.